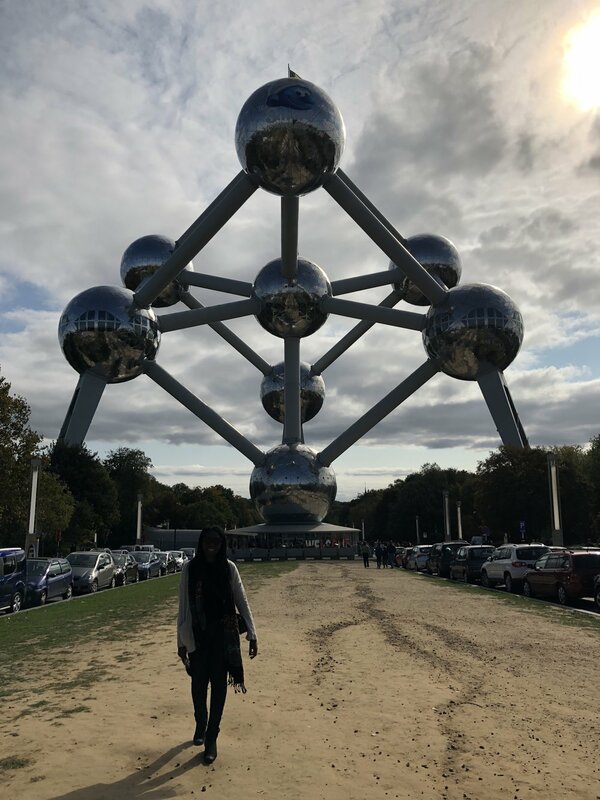 So much to share from my time in Belgium. This was different than a lot of my trips but that was exactly what made it perfect. I am usually on the go and trying to fit multiple trips into one. 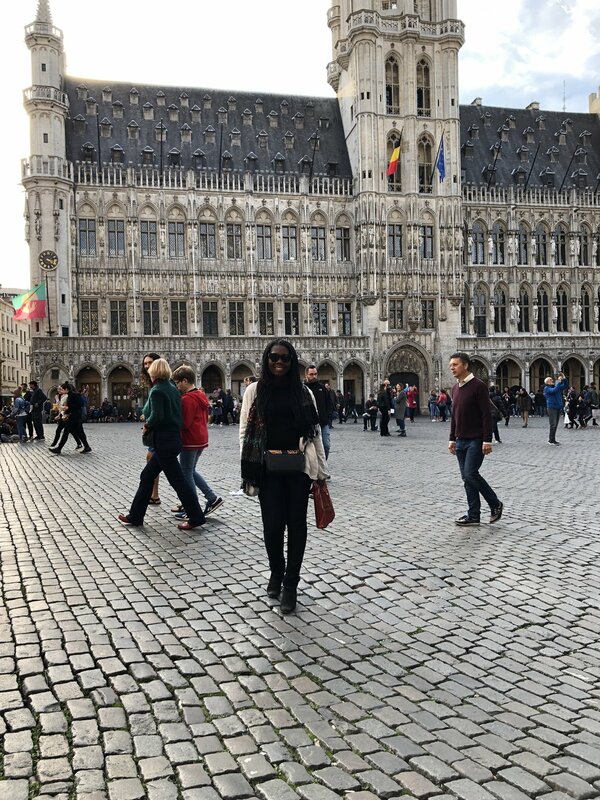 My time in Brussels was very different, it was slow paced; I slept in and I did not get to do all the things. One thing did not change though - my eating. I still ate my weight in food. Between the waffles; fries and the local dishes - I feel like I gained 10 pounds over the weekend. If you are thinking about Belgium - waste no time; finalize your plans; book your trip and get ready for an incredible time. I stayed in the Rogier area at the Hotel Le Plaza Brussels. Rogier is not quite city center but it is close enough. It is a short ten minute walk to city center and less than a ten minute walk to the Brussels nord train station. Rogier train station is a short walk from the hotel and access to city center means access to all the food and shopping options your heart desires. 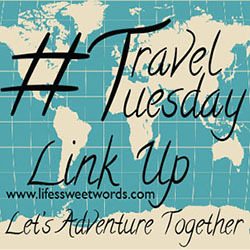 If you are headed this way, here are a few things I recommend for your itinerary. Visit Grand Place. 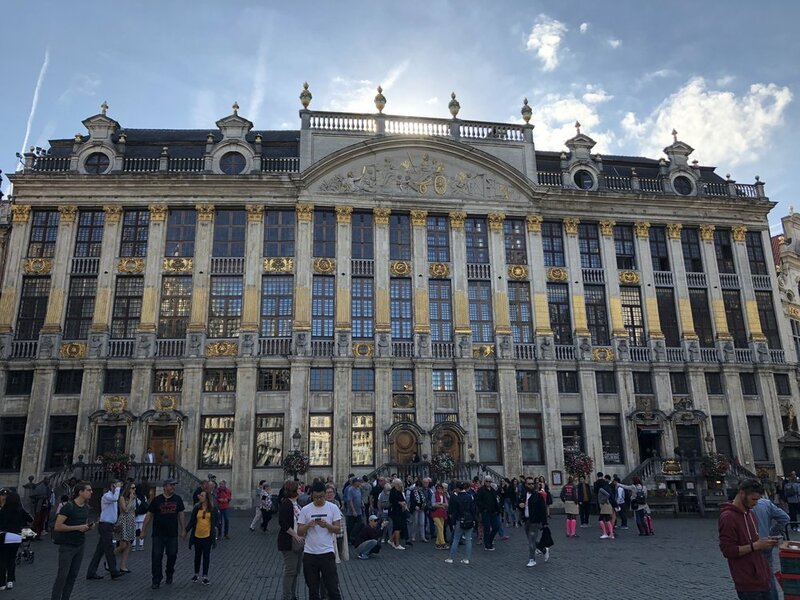 The facade of the buildings that make up the grand place is my definition of architectural opulence. The grand place is a UNESCO world heritage site in the center of the city and known for its decorative facade. The square is surround by the guild house; Maison du roi and city hall. If you find yourself here on a saturday you will likely catch a wedding or two. The square is also lined with shops and restaurants and if you are interested - the Belgium museum of beer. Manneken Pis. The bronze sculpture of the urinating boy stands as a symbol of Belgium (and of the City’s defiance). is a must see. The statue is replicated all over the city. 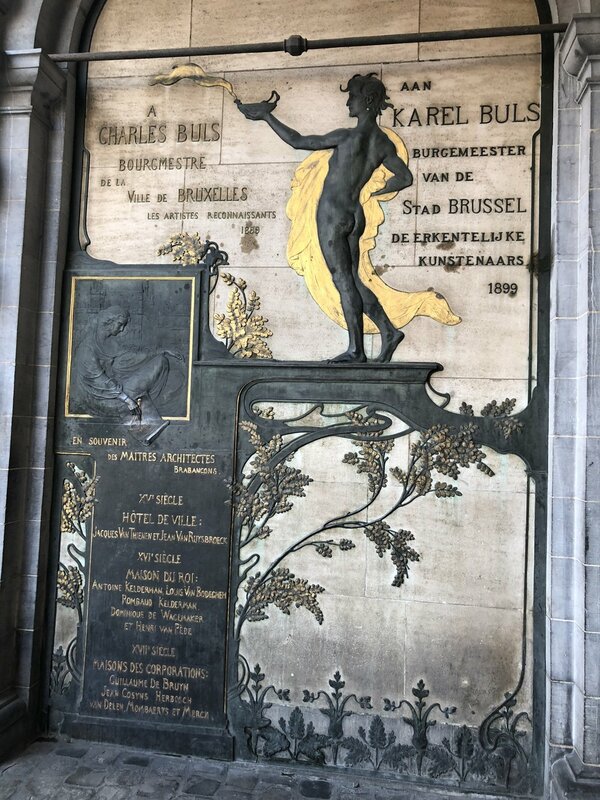 The main statue is a short walk from the grand place and one of the most visited spots in Brussels. These days you will find the statue clad in one of a reported miniature nine hundred suits. Statue of Everard ‘t Serclaes. The statue of the reclining man is just off the grand place and legend has it that rubbing the statue will bring you luck. If you believe in such; then by all mean go for it. If not, still stop by and read up on history of the statue and man depicted in the statue. Everard was lord of Kruikenburg who recovered the city from the Flemings. Visit Brussels Park. If you want a break from the city or a spot to picnic or work out. The Brussels park is ideal. It is the largest public park in Brussels in walking distance to the palace and mont des arts. There is a main pond and several monuments that add to the character of this park. The Royal Palace of Brussels. This is the administrative home of the king and queen of Belgium. It is only open to the public (for free) every day (except for Mondays) during the summer (end of July to early September). Unfortunately, I could not visit the interior; the exterior and gardens are accessible and very lovely. Shop at Galeries Royales Saint-Hubert. This is known as one of the oldest shopping arcades in the world. Apparently it is older than the famous Galleria Vittorio Emanuele II in Milan. The shopping arcade is lined with restaurants ; film theater. Some of Belgium best chocolatiers have shops here including Mary and Leonidas. Eat Waffles. Belgian waffles are top notch - they are so good. If you google best waffles in Brussels - you will get a variety of options. I decided to treat myself to Maison Dandoy. 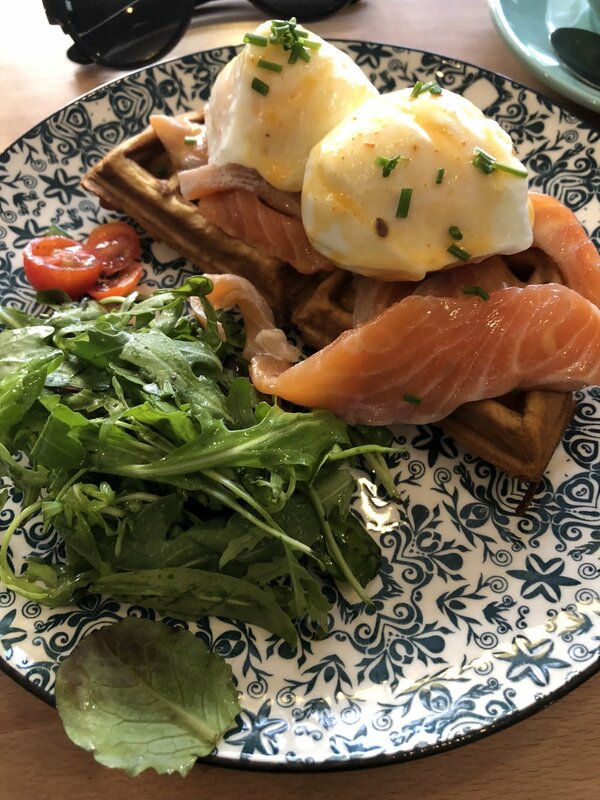 Waffle and one topping of choice will set you back seven euros if you are dining in their tea room. Prepare to wait in line for fifteen to twenty-five minutes; but I thought it was worth it. I decided to go for the dine in option. I ordered the waffle with one topping of speculoos ice cream. If you have tried the famous Dutch Christmas cookie then you are in for treat. if you are in a treat yo self mode - then can I recommend the hot chocolate with whip cream as well. Eat Frites (Fries). Good lord, they make amazing fries in Belgium; the price for an order of fries and sauce range from 2.50 euro to 7 euros and worth the splurge. In my research Maison Antoine and Frit Flagey were highly recommended. The latter was out of my way and the former is closed on Sundays. Instead, I decided to try Fritland which is in the heart of city centre. This spot has been around for a few decades and their fries and sauce will set you back about 4.20 euro and they are the best fries I have ever eaten. 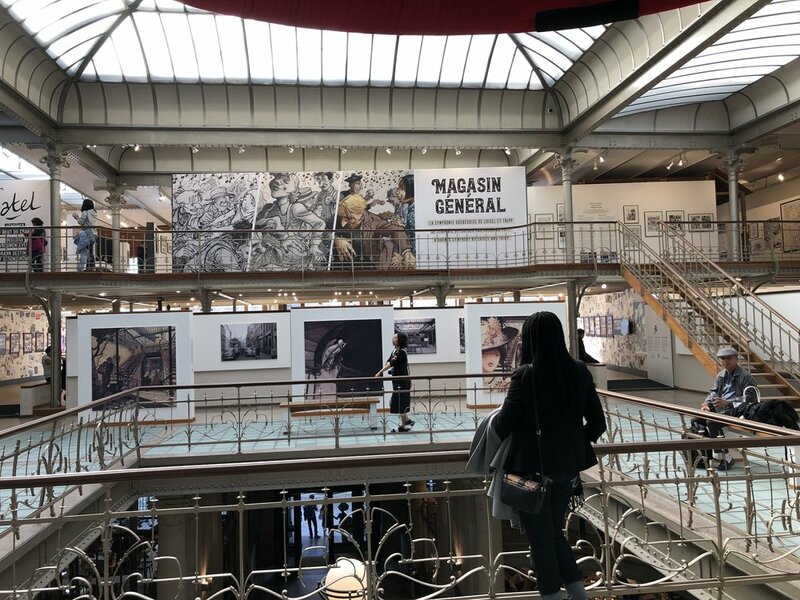 Belgian Centre for Comic Strip Art. This was probably my favorite part of the trip (don’t judge). Did you know the Smurfs was created by the famous Belgian cartoonist - Peyo ? 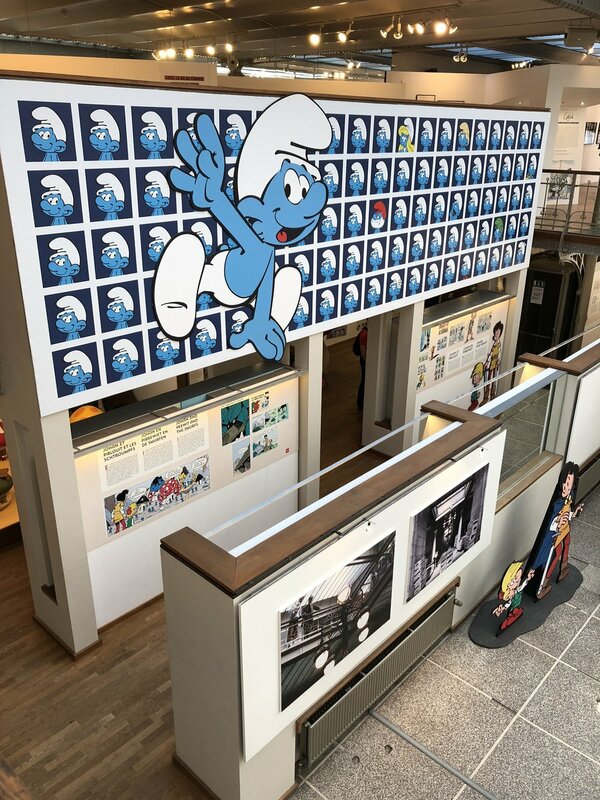 There was an exhibition of the Smurfs and great female comic artist on while I was visiting. I missed the Mangis exhibition by a day (insert: sad face). Ticket to the centre is 10 euro and I thought it was worth every penny. Visit Mini-Europe. The park is a reproduction of famous monuments from the European countries - from big ben to the Eiffel tower and everything in between. The monuments are reported to be at a scale of 1:25. The entry fee is 15 euro and I initially thought it was too steep but I really enjoyed my time there, It is not something I will do again (maybe when I have kids), but I am glad I stretched my budget to fit this one on the itinerary, The park is about a half hour from city centre. From Rogier train station, take the number six train all the way to Heysel train station; a short seven minute walk will get you to Mini-Europe and the Atomium. Check out the Atomium. Next to Mini-Europe is the Atomium. This is the last remaining structure from the 1958 world’s fair. The very unique structure is made up of nine atoms; five of which are open to the public and house restaurant with panoramic view; exhibition and a view deck with a telescope that gets you views of Antwerp and its port. It cost 12 euros to visit the interior. Explore Mont des arts. You could easier spend several hours here. It is about ten minutes from the palace or about fifteen minutes from the grand place. This hill of arts has got all the art your heart desires. The garden is a work of art in itself and the complex is home to the royal library; national archives; the mim (museum of musical instruments); Belvue museum and so much more. My time was spent in the garden taking a break from the trek around the city; there is a restaurant/bar at the top of the hill. Brussels centre train station is not far off. You can get trains to other parts of Belgium from there. Plan a day trip (or two). You know how much I love my day trips and Brussels is perfectly stationed for several day trips. Brugge is less than an hour and half away; Antwerp , Brugge and Ghent is about an hour from central station. You can also take a train to Amsterdam and other parts of Europe from central station. Where to eat in Brussels. The food in Brussels is fantastic. For brunch, I recommend Peck 47 and Streetpecker. 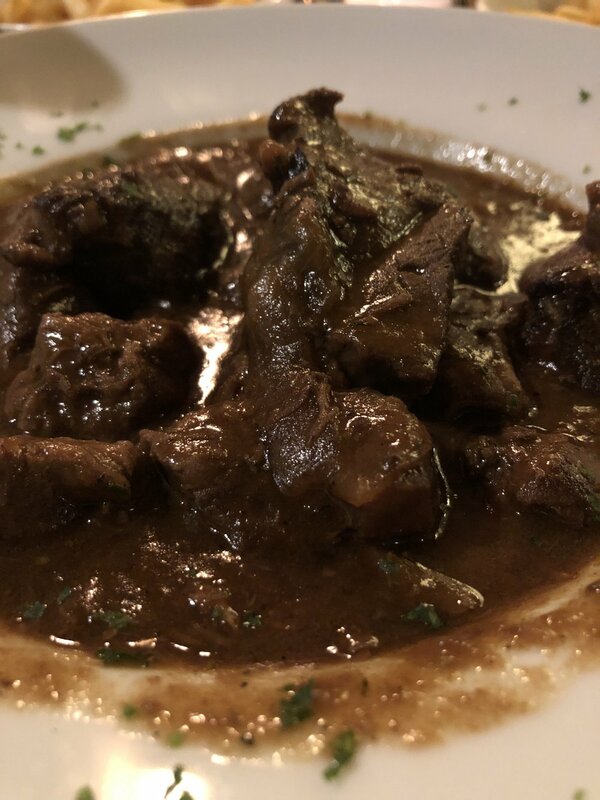 Lyly’s is an amazing fondue restaurant in the city center; Grimbergen cafe has a great menu mix - the steak and flemish beef stew were excellent. Drink Belgian Beer. Full disclaimer ! I am not a beer person and was very overwhelmed by all the options. The folks at La Belgique gourmande were incredible to this beer novice and after my twenty questions to the staff, I decided to try the Belirium red. It was really good. If you like beer, you should check out the beer museum located in the Grand place. Winter in Europe is different - in London it is cold and rainy and the sun goes down at 3 p.m. on certain days. If we have an off day when the wind decides to join the party. Ugh ! I have had the pleasure of traveling this continent in both winter and summer and while I will always been a sunshine no rain kind of girl; most of my travel across this continent has been in the Winter months and I will not have it any other way. There are a lot of advantages to choosing to travel this continent between mid-November and March. At the top of my list for why you should travel Europe in winter - the economics. Flights and hotels are significantly cheaper in winter than in the summer. It is off peak season and due to less traffic, hotels are deeply discounted and already cheap flights are even cheaper. I have seen flights for as little as £9 on one of the low budget airlines. 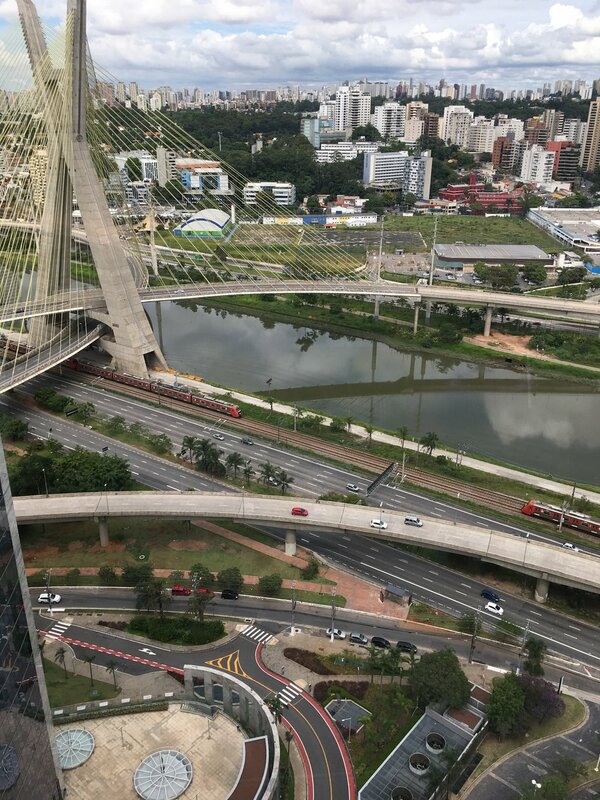 Less foot traffic. During the winter, there are usually less tourist; everyone is hibernating and staying indoors trying to stay warm. If you can brave the outdoors, you will rewarded with less crowds and shorter queues to get into tourist attractions. That said, certain attractions like the Eiffel tower or the London eye will likely have a queue year round. I was in Portugal in December and it was crowded. That might also be because Portugal is one of the warmer countries in the Continent this time of year. There is nothing like winter in Europe. While most of the continent is cold (and sometimes rainy); you do get rewarded with an excellent festive season. The continent transforms at Christmas - elaborate decorations; mulled wine and Christmas markets. If you have not experienced Christmas in Europe - it should be on your bucket list. I wrote a post about it - check it out here. Access to locals. Due to less tourist, you are more likely to engage and interact with locals. 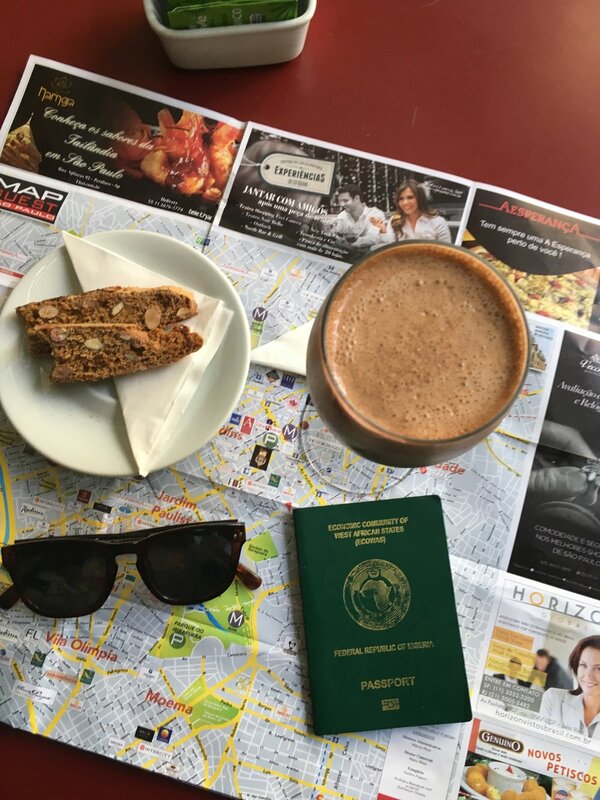 I think that is a key to traveling - it not just about the sights but also trying to connect with the local. It makes travel a much richer experience. Winter Fashion. 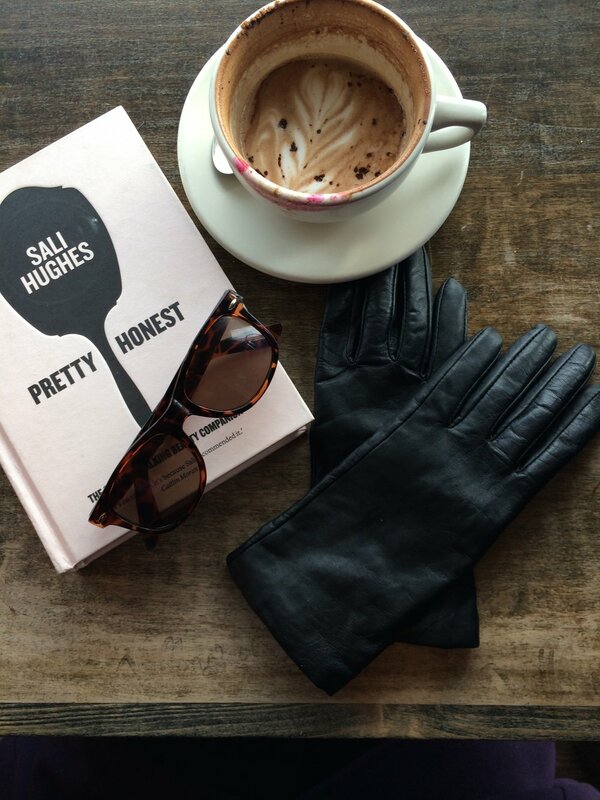 A little bit of vanity but winter fashion is very chic so pack your winter bests and come on down. While in Portugal, I saw several couples having a professional photoshoot done in chic winter attires as part of their holidays. I have to say I felt a twinge of jealousy at not having thought about doing that myself. Certain cities are exceptional in winter. While we may fret about the freezing temperatures; there are certain parts of Europe that are worth visiting in winter. Just search for images of the Black forest in Germany in winter; Montreux and St Moritz in Switzerland; the region of South Tyrol in Italy or the Rhône-Alpes region in south-eastern France. These are great in summer but their winter ambience is the best. There are actually Cities and Countries with mild-ish winter temperatures. While a lot of the continent is cold and certain parts are covered in snow; there are also several cities and countries that have milder temperatures if you are craving some sun and warmth on your winter excursion to Europe. We visited south of Spain in December and we had sunshine and warmth most of the time we were there. Portugal in December/January was quite warm - I could have gotten by with just a thick jumper and scarf; you can lay beach side in south of France in November. Gibraltar is also another warm destination. While I believe the pros outweigh the cons, it is important to know the downside of traveling this continent in winter as well…. Days are shorter. The sun does not rise till about 7:15 a.m. in London and there are days the sun goes down by 3:30 p.m. so you will have shorter days. My advice to make the most of day light is to start off your days early and wind down early (if you so choose). Weather is unpredictable. Even in the warmer parts of the continent; it does not hurt to pack some winter options including a rain coat or umbrella; gloves; hat; boot; scarfs and coat. The weather is unpredictable and you can have sunshine; rain and snow in the same day or week. Winter closures. Certain hotels and restaurants shut down for the winter. I have had to rethink trips to Santorini and parts of Croatia due to several hotel closures. There are also tours that close down for the winter. Take that into account when planning your trip. If you are not sure, call or email the hotels to confirm they will be open during your visit. Plan some bad weather days. While in Paris last November - it rained non stop for twenty-four hours. That was not part of the plan. Thankfully, I always plan a bad weather day itinerary to ensure I make the most of my time in any city. That may include treating yourself (shopping; spas) ; museum hopping; catch a movie; see a play.